The Biggest Conflict of Interest in Finance? Maybe this is a naive question, but as Goldman clients get skinned again and again and again and again and again by Goldman’s failed calls — while Goldman itself continues to rack up prop trading profits — I keep wondering just why anyone would take investment advice from a trading firm? And beyond that, why is it even legal for trading firms to advise clients? Isn’t this the biggest conflict of interest possible? We know firms including Goldman have advised clients to buy junk that the trading arm wants to get off its books. What are three quick ways to become a leader at Goldman? a) Persuading your clients to invest in the stocks or other products that we are trying to get rid of because they are not seen as having a lot of potential profit. b) Get your clients — some of whom are sophisticated, and some of whom aren’t — to trade whatever will bring the biggest profit to Goldman. Call me old-fashioned, but I don’t like selling my clients a product that is wrong for them. How is intentionally misleading clients to offload junk not illegal? Is this not a huge regulatory oversight? And why — when there is ample evidence that this has happened before and continues to happen — are so few people talking about making it illegal? And beyond that is it not blazingly obvious that the supermarket megabank model that puts clients’ interests under a single roof with the bank’s own trading book breeds fraud? Should there not be a new Glass Steagall not only to separate retail from investment banking, but also to separate prop trading from flow trading? 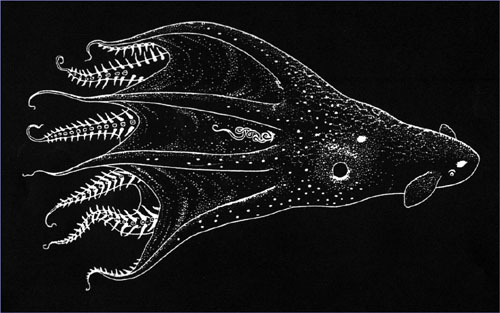 Or are we going to leave the world to the vampire squid? The Eminent Domain Mortgage Heist? But there’s something brewing that looks like it might be a blueprint to effectively take on the financial services industry: a plan to allow local governments to take on the problem of neighborhoods blighted by toxic home loans and foreclosures through the use of eminent domain. I can’t speak for how well the program will work, but it’s certaily been effective in scaring the hell out of Wall Street. Under the proposal, towns would essentially be seizing and condemning the man-made mess resulting from the housing bubble. I approach the issue and constitutionality of eminent domain — government seizing of property in exchange for whatever the government defines as just compensation — very suspiciously. While I am altogether hostile to the idea of government being able to declare that what is yours is not yours, it has recently become a device for government to transfer private property from one private owner to another. In Kelo v. City of New London (2005), the use of eminent domain to transfer land from one private owner to another private owner to further economic development was deemed to be constitutional. In a 5–4 decision, the Court held that the general benefits a community enjoyed from economic growth qualified private redevelopment plans as a permissible public use under the Takings Clause of the Fifth Amendment. While seizing land with compensation to build a highway for public use is one thing, seizing property for the private profit of others is quite another. Yet many like Taibbi are heralding the potential of seizing underwater mortgages. I will consider any initiative to reduce total debt and deleveraging costs, as I believe that excessive total debt is the largest cause of today’s depression. But given the history, I have every right to be cautious and even suspicious. The plan is being put forward by a company called Mortgage Resolution Partners, run by a venture capitalist named Steven Gluckstern. Here’s how it works: Mortgage Resolution Partners helps raise the capital a town or a county would need to essentially “buy” seized home loans from the banks and the bondholders (remember, to use eminent domain to seize property, governments must give the owners “reasonable compensation,” often interpreted as fair current market value). Once the town or county seizes the loan, it would then be owned by a legal entity set up by the local government – San Bernardino, for instance, has set up a JPA, or Joint Powers Authority, to manage the loans. At that point, the JPA [i.e. the taxpayer!] is simply the new owner of the loan. It would then approach the homeowner with a choice. If, for some crazy reason, the homeowner likes the current situation, he can simply keep making his same inflated payments to the JPA. Not that this is likely, but the idea here is that nobody would force homeowners to do anything. On the other hand, the town can also offer to help the homeowner find new financing. In conjunction with companies like MRP (and the copycat firms like it that would inevitably spring up), the counties and towns would arrange for private lenders to enter the picture, and help homeowners essentially buy back his own house, only at a current market price. Just like that, the homeowner is no longer underwater and threatened with foreclosure. First — why municipalities? Why not states? The answer is that while all states other than Vermont have some form of balanced budget amendment, and cannot so easily take on debt, municipalities can freely take on debt. How much? Well, it’s almost certain to be open to legal challenges by current mortgage-holders, and courts may end up forcing municipalities to pay far more than municipalities initially stipulate. But at whatever values the mortgages are seized at, there is no doubt that the taxpayer will end up holding a lot of new debt. The biggest problem though, is surely the danger of corruption. How many municipalities will end up using these opaque procedures to enrich well-connected insiders? How many will buy junk at inflated prices, or seize and sell to a well-connected insider at far below value? Who polices such transactions? Where is the transparency? How do we make sure that this is not just an excuse for bad lenders to offload junk to the taxpayer at inflated prices and cream a profit when they were set to reap a loss? MRP absolutely has a profit motive in the plan, and much is likely to be made of that in the press as this story develops. But I doubt this ends up being entirely about money. And you can restructure all you like, but many underwater homeowners with a serious income shortfall will still not be able to pay their mortgages. Who carries the can? If the mortgage has been sold on then the loss will be on the new owner. In reality this is far more likely to be the taxpayer. Simply, the taxpayer may well end up carrying the can for a whole lot of bust mortgages. What Taibbi — who usually has a very good sense of moral hazard — and MRP effectively seem to be considering is not only the continuation and expansion of Kelo, but also potentially the transfer of liability from bust irresponsible lenders to the taxpayer. While this is sure to enrich the bureaucracy and well-connected insiders — and admittedly, while it may help some underwater homeowners — it seems incredibly risky for the taxpayer. While debt-forgiveness is one way out of the debt trap, we should be careful and recognise that many so-called debt-forgiveness schemes may instead be dressed-up scams and frauds that end up enriching special interests while putting the taxpayer deeper into a hole.